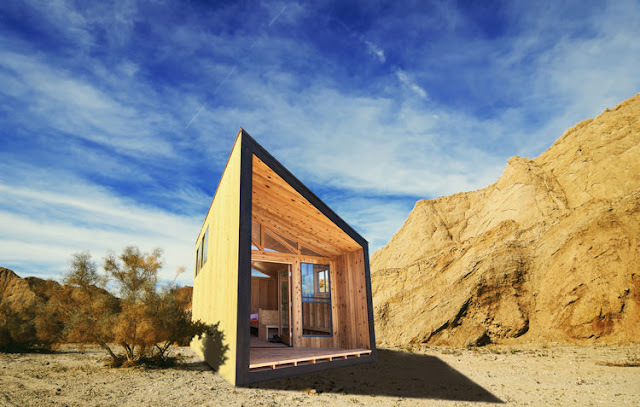 MARS Cave has an internal system of recycling and reuse of energy, minimizing the environmental impact and becoming a small prefab home for Mars with zero waste. There are many theories and motives that make researchers invest resources in life alternatives off planet Earth. And Mars is the main destination. 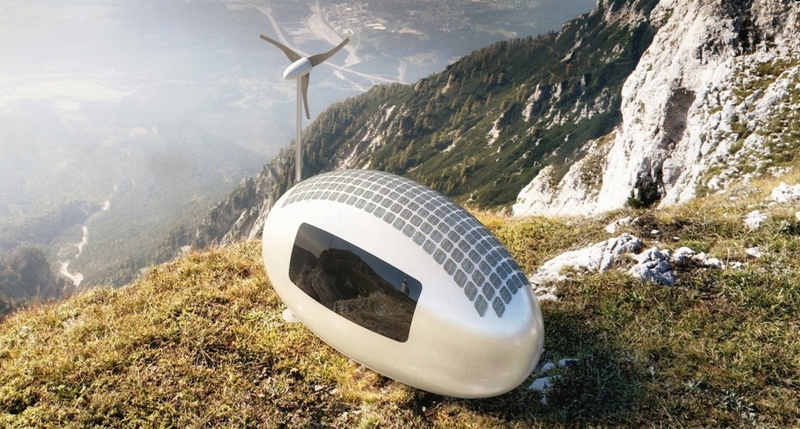 Thinking about this possibility of the future, OPEN Architecture has developed a capsule to live on Mars. Entitled MARS Case, the housing prototype presents a vision of an ideal home to survive the adverse conditions of the neighboring planet. Combining technology, product design and architecture, the small prefab home for Mars will be able to recycle heat and condensation, and from that, generate power for each internal technological device, which in turn will power the internal system again. In short: all water, air and energy will be fully reused by the system, minimizing resource consumption. "Imagine that mankind is forced to adapt on Mars, our neighboring planet, where we can not rely on natural resources, as we are accustomed to do here on Earth, where we have no chance but to reduce our lifestyles, and only carry the minimum. Recycling will be the only way to survive", comment the architects on the initial idea of ​​the project. 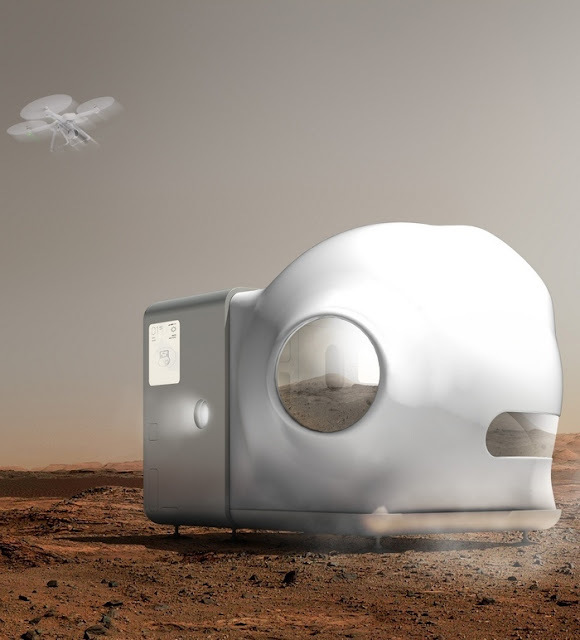 As in most common science fiction, the small prefab home for Mars has a minimalist design and full integration inside it - both in the sense of home appliances working connected to mobile devices and in the internal spatial dynamics. And despite its compact size (2.40 x 2.40 x 2.00 meters), it has everything an excess-free life needs. A disruptive project, but consistent with the global thinking we have today. The MARS Case was designed in partnership with the Xiaomi technology brand and presented at China House Vision 2018, near the Beijing National Stadium. 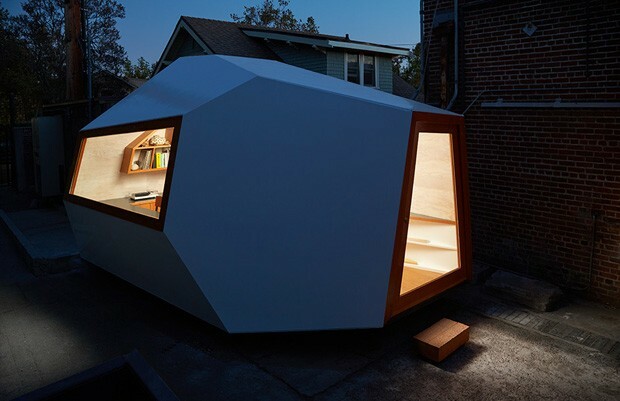 Architects Kagan Taylor and Justin Rice from the Los Angeles Knowhow Shop studio designed and built a prefab micro office in line with contemporary work relationships. In addition to having a compact size - about 14 m² in area - the structure made with material used in boat building works on wheels, so it can be easily transported to other places as needed. Dubbed the "Lighthouse", the compact office has a large door and skylights that allow plenty of natural light to enter. "We were surprised by the difference in perceived space from the outside to the inside," say the architects, referring to the cozy inner area, with work benches and book shelves. The pair studied widely different disciplines to arrive at the best result, giving rise to a new form of architecture. So the professionals bet on materials used in the construction of boats, technology of solar ceilings of automobiles and structural insulation panels fabricated and bevelled together with the hardware of the film industry. Cover brings cross-disciplinary expertise from architecture, design, software engineering, automotive manufacturing, computational physics, and professional engineering services to design and build high quality prefab studios providing a remarkably enjoyable experience in all stages of design process and many years after completion. Prior to Cover, the team helped design and build homes with prices from $120 million for a luxury modern mansion to modest minimalist prefab studios. Over and over the team saw clients be frustrated at the low speed of designing and building progress, cost uncertainties and overruns, and people be disappointed with the unsatisfactory quality they got often at the price of homes they could afford. These problems in design and construction process are linked and thus nearly impossible to untangle when using traditional on-site construction method, especially if client wants something modern, unique and smart-designed. Most of the time, because of the unpredictability, people end up spending more than they can afford. Everybody deserves a better results and experience. So, Cover has reinvented the entire architecture, design, construction, permit, services and even building materials and methods from the ground up. What homeowners get is a stunning modern space that they will love and especially love being in, with a smart design and modern building process that homeowners will take pride in being a part of. 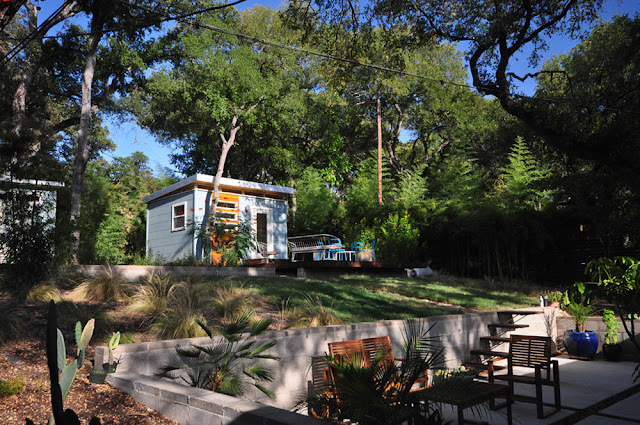 Cover can add prefab studio in Los Angeles, California, in homeowner's backyard. For many possible uses such as a hobby workshop, home office, in-law suite or guest bedroom, adding a prefab studio is ideal because it can provide a private, quiet space. 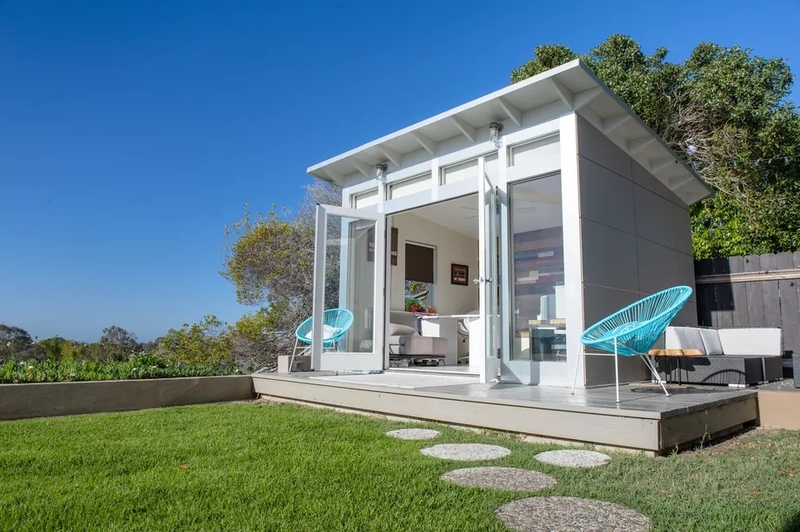 The prefab process allows to add detached living space without disrupting usual life inside existing home – unlike a few weeks traditional design process and several month on-site construction process accompanying noise and bustle. 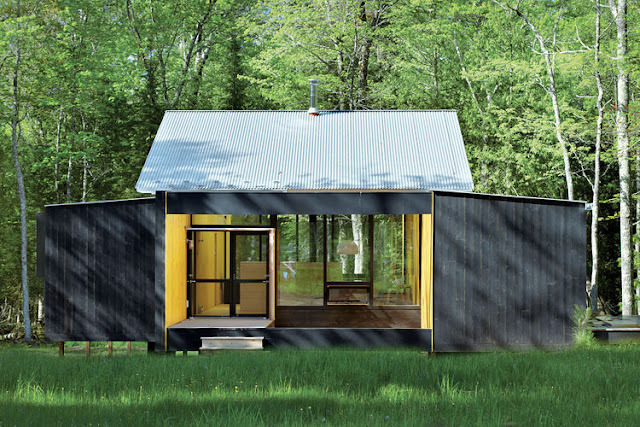 And because prefab studios are built in a remote factory, assembly process on customer's land takes only two days. 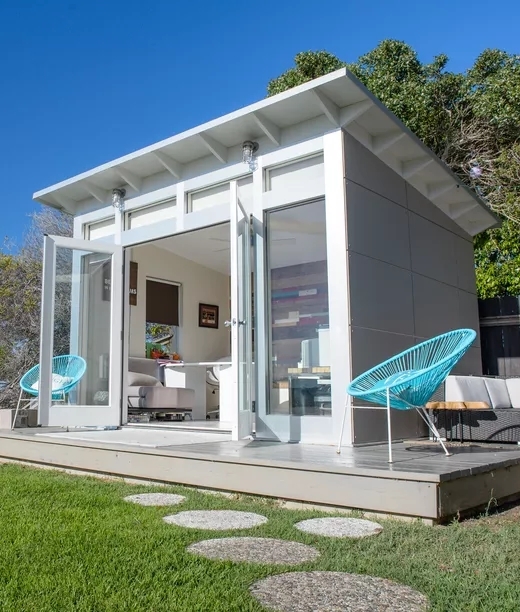 Across California the process of permitting a detached prefab “accessory structure” which are prefab studios, is much faster than a new home, addition, or renovation. Cover will take care of all approval process for customers. The permitting typically can take 2 or 4 months. Once the company receive approval for starting building from the local zoning department, the factory can manufacture new prefab studio and install the structure within 3 month. Since each of the prefab studios designed specifically for individual needs and unique site, the cost varies depending on the property and design. 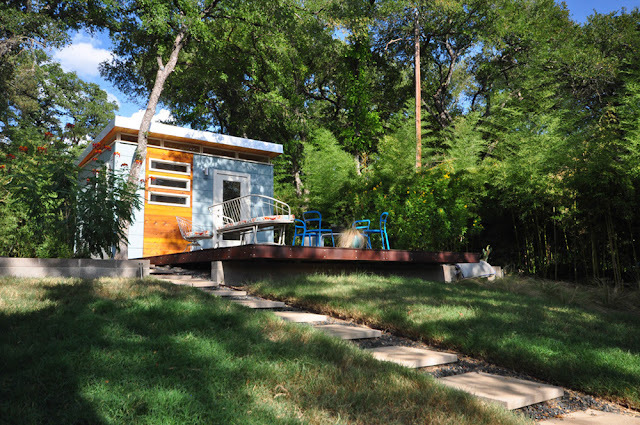 Most of the prefab studios cost $300-400 per square foot, all inclusive. 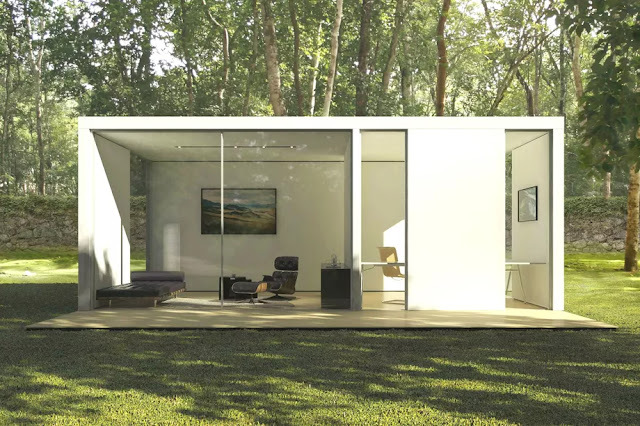 There are all kinds of prefab spaces for any residential use: home offices, in-law suites, reading rooms, guest rooms, pool houses, granny flats, party rooms, kid play zones, painting studios, and hobby shops. 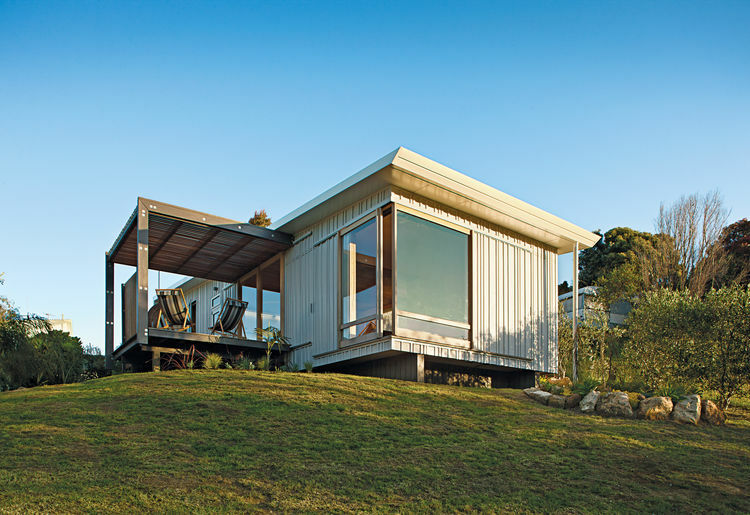 Thoughtful and clean design has been a top priority at prefab architecture of Studio Shed from day one. 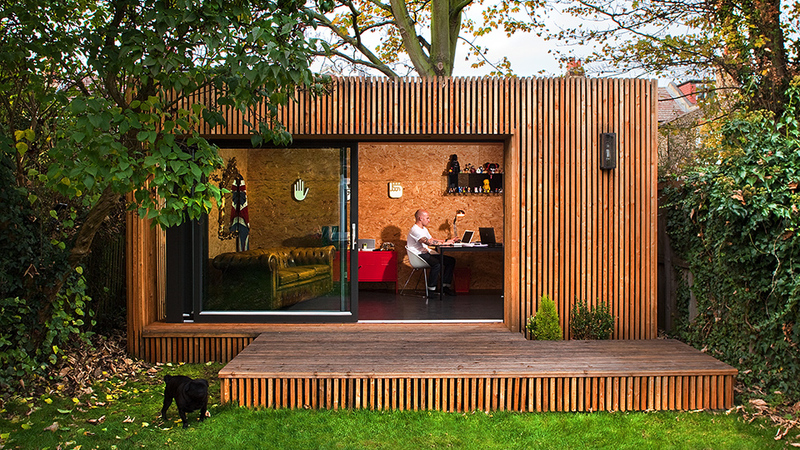 Award-winning modern prefab shed designs have ignited a modern re-thinking of what a prefab backyard studio or office can be. 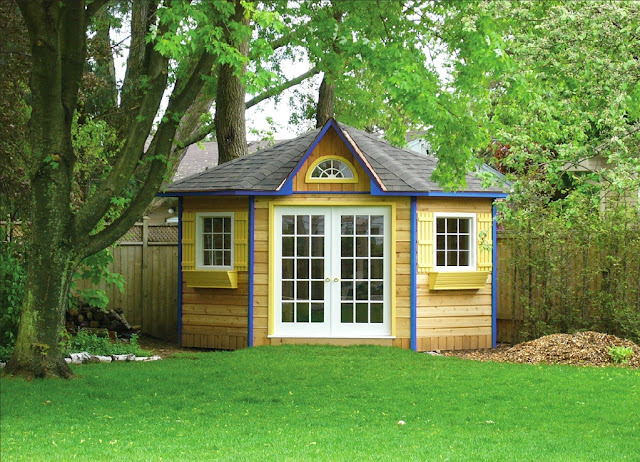 Attention to every smallest details and elements creates a prefab shed or backyard studio that clients are proud to look at, and in harmony with surroundings integrates seamlessly in any backyard. 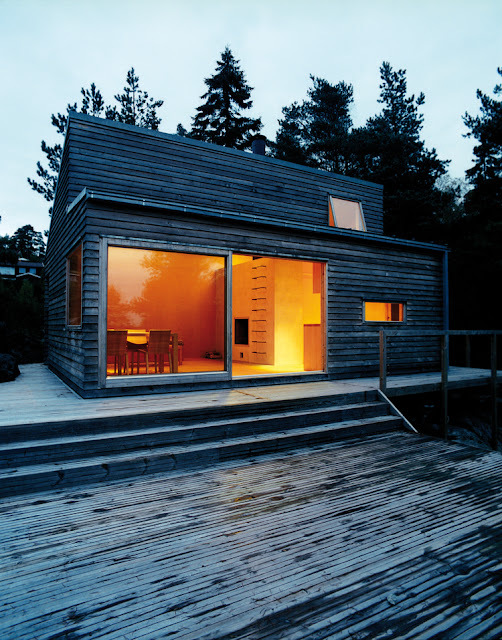 Prefab design philosophy of the Studio Shed does not stop at nice first impression and good looks. The Summit Series and Signature Series prefab sheds, backyard studios and backyard offices are designed with performance and efficiency in mind. 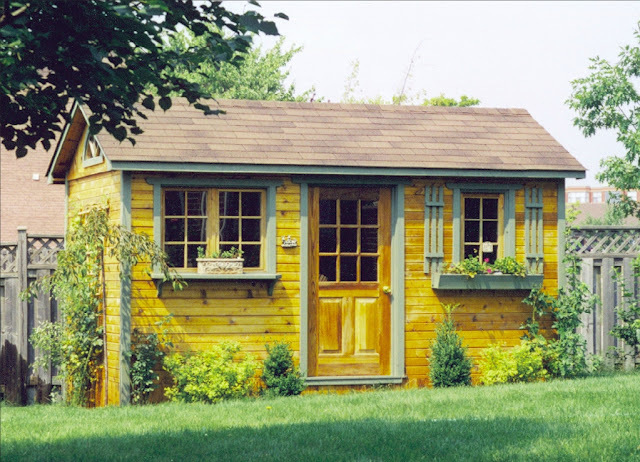 Unlike traditional on-site built backyard sheds, Studio Shed uses the highest quality building materials available to design and create quality spaces that perform to high residential standards and needs, and meet the most stringent and demanding building codes throughout the United States. A Studio Shed is a beautiful extension of existing home, thoughtfully and professionally designed to maximize available space and provide any required functionality, and feeling of of comfort. Engineered lumber, LSL integrated headers, ZipSystem wall panels, high-efficiency glass, concrete-based siding, and clean aluminum trim create a prefab sheds, backyard studios or backyard offices that are both visually striking, impressive and will look just as good many years down the road as it did the first day it was installed. A very special little place, all your own—MUJI Hut. All of the wood used for the hut is from Japan. The outer walls are given enhanced antiseptic properties and durability by applying burned hardwood cladding. This is borrowed from the traditional art of Japanese shipbuilding, where builders burn cedar wood to increase its strength and add an oil stain finish. The inner wall surfaces are left untreated so you can design the interior any way you like. The MUJI Hut has a raft foundation, which is the type used in ordinary homes. It provides strength and guards against ground moisture. The mortar floor surface is left as is. Even in dirt-prone environments, the floor can be used freely like an earthen floor. Since the floor surface is nice and smooth, cleaning is easy, and flooring or rugs can be laid anywhere to suit your taste. * Includes costs of materials needed for construction, and operating costs of the construction contractor. * Additional legal expenses will be required for the application for construction approval, etc. * Other costs may be incurred depending on climate conditions, etc., at the construction site. 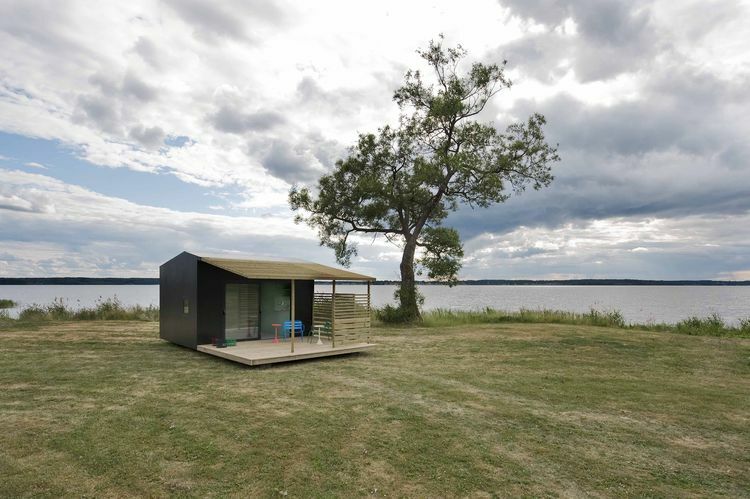 The warranty covers the building frame for five years and the rest of the hut for one year. 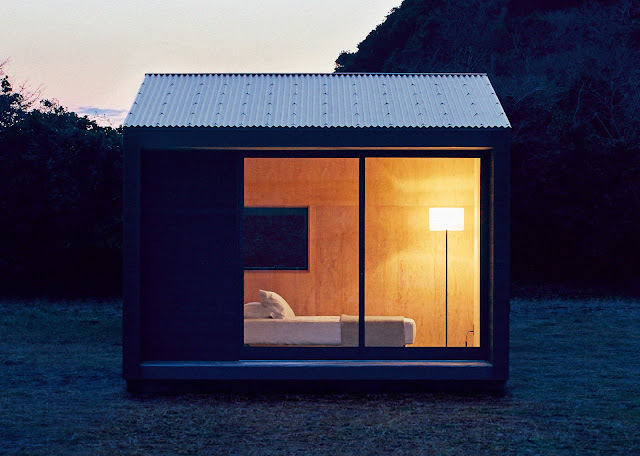 You can rest assured that your MUJI Hut will last a long time. A small prefab, The Maxwell Prefab Cabin, can be used as an additional room, a studio, a place for relaxing at the poolside or lakeside. 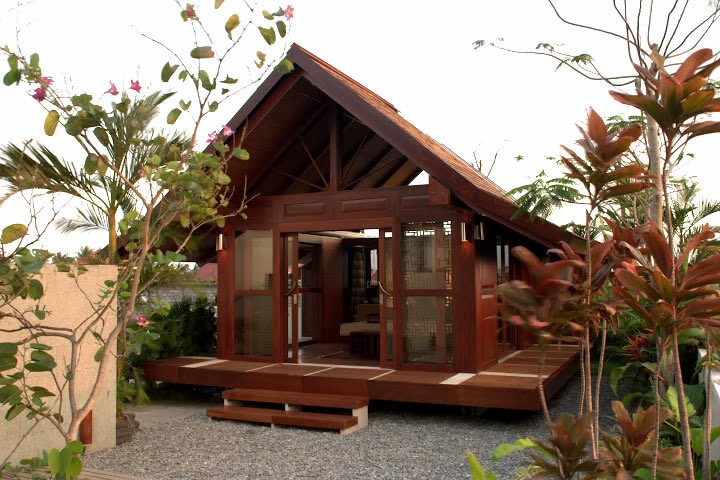 Maybe because of a Japanese influence to this cabin, it has sturdy but exquisite design. 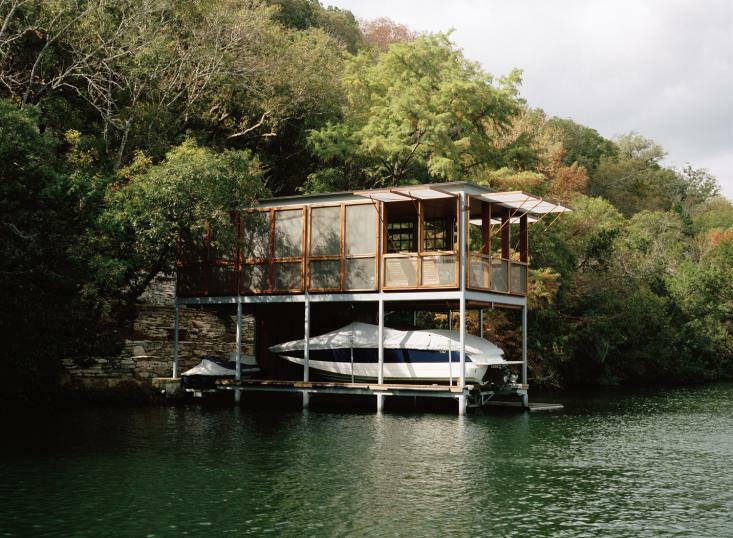 A unique META Floor SystemT is a base structure of the Maxwell Prefab Cabin. 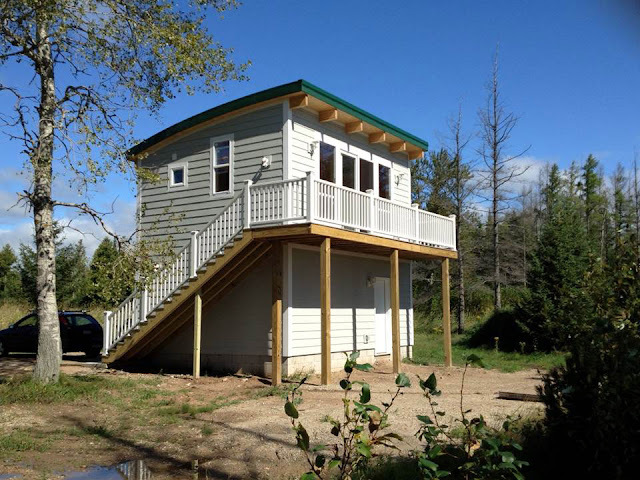 The construction consists from the durable southern yellow pine paneling, insulated PGT windows, 3 pre-assembled wall sections, a curving roof line, exposed beams interior and a pine roof deck. A 16 feet X 20 feet cabin is the most popular size of Maxwell Prefab Cabin. It will cost $32 500. But if you want a bit smaller cabin, there is a 12 feet X 16 feet mid-size cabin. Its price lower and it is only $19 500. 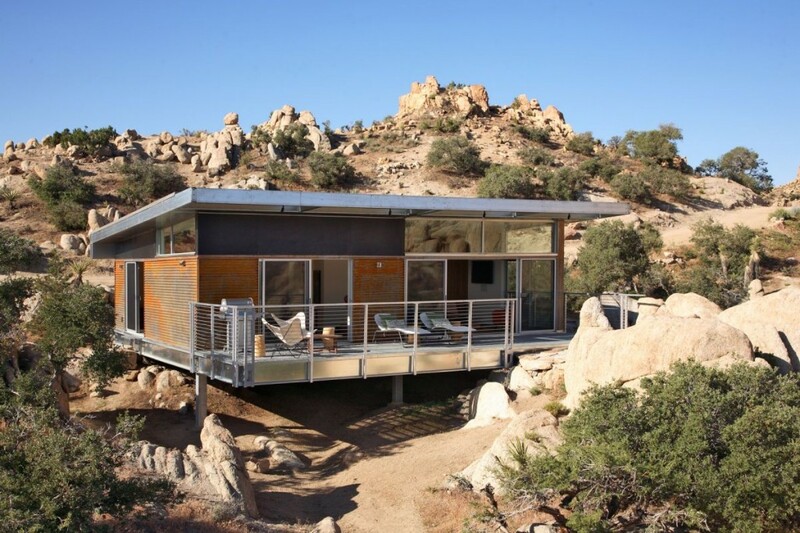 An amazing Joshua Tree Prefab Cabin is created by Italian architects Hangar Prefab. The mountain retreat home is perfect for spending time with family or friends. 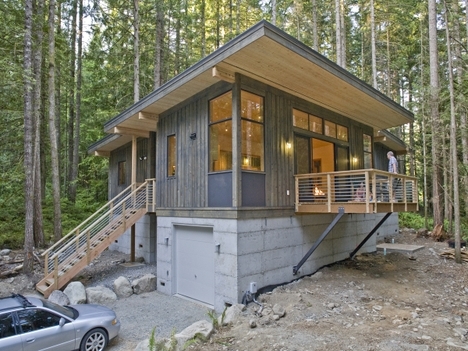 Such prefab is transportable; it can be constructed in the beautiful highlands of alpine or even on a bare rock. So, the location can be easily changed. The exterior combination of titanium, steel, zinc roof, metal coating and the natural wooden slats interior looks balanced and makes dwelling warmer and more spacious. Through the windows you can enjoy the extremely picturesque scenery. 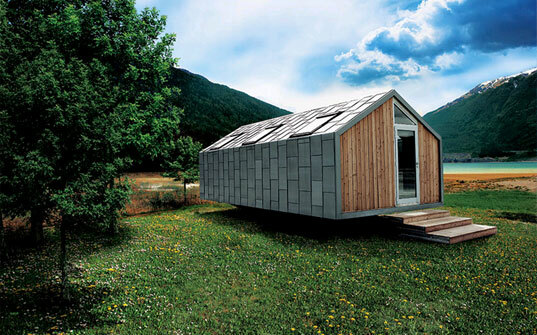 This prefab home at 34 square meters can house 3-4 people. It has a kitchen, living room, a corridor that leads to a twin bedroom, one double bedroom, a shared shower. 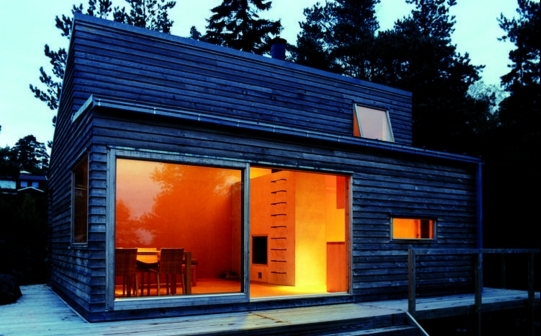 Architectural project was designed for Pircher Oberland, leader company in wood prefab.